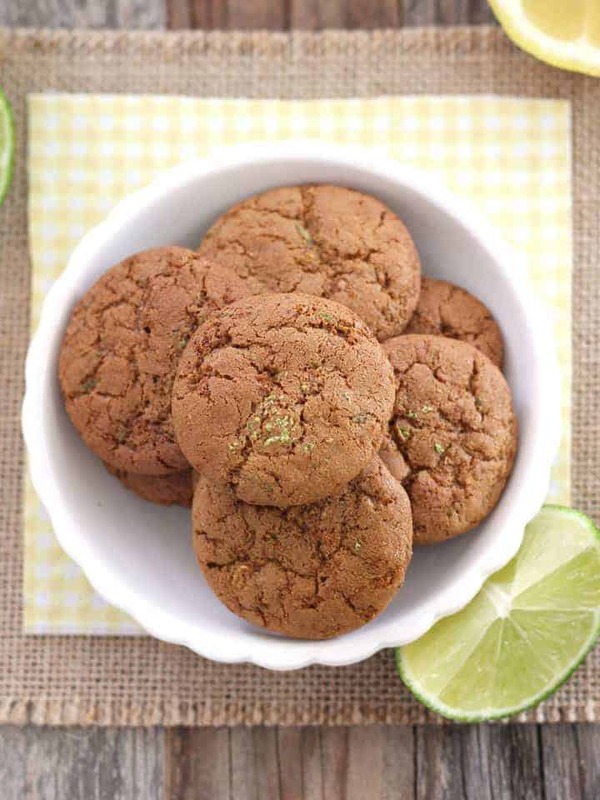 A small batch of mini Lemon Lime Coconut Sugar Cookies you can make in your toaster oven. They’re crispy, chewy, full of flavor and smell fantastic. Last month we asked you guys to vote for the cookie recipe you wanted to see next. 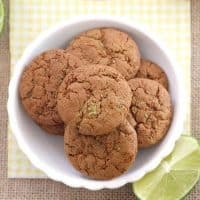 It was a close one but with 42% of the vote these small (2-bites) Lemon Lime Coconut Sugar Cookies won. 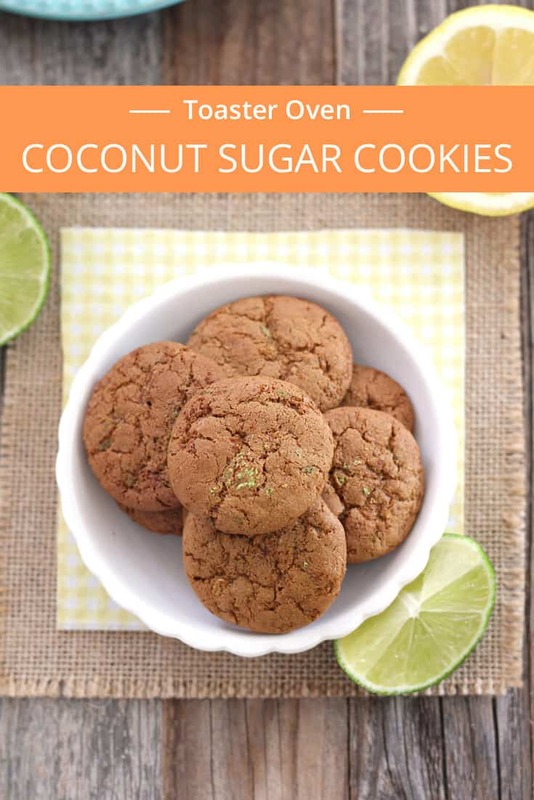 The bright flavors of the lemon and lime zest combine with coconut sugar’s caramel-like notes for a seriously tasty little cookie. Last month, while testing this recipe we visited the zoo with my family. I packed a backpack of better-for-you snacks like hummus, baked pita chips, veggies and grapes but tossed in a few of these more indulgent sugary cookies for a fun treat. Melting atop a double-decker bus in 100 degree weather I handed the bag of cookies to my sister. A few seconds later I could hear a chorus of “Oooh…that’s nice” and “Mmmm.” At that moment I was super thankful to be sitting in the front so no one could see my big goofy grin. This is a little embarrassing to admit but I get a rush when my family (especially Tim) enjoys something I’ve made. Even more so if it has whole grains or an unfamiliar ingredient like coconut sugar. According to my bag it’s sugar “made from the nectar of the coconut palm tree flower.” In the last year we’ve seen it popping up in the baking isle at our local grocery stores, Sprouts and Trader Joe’s. In addition to cookies we’ve used it in No-Stir Toaster Oven Granola, Toaster Oven Double Chocolate Cookies, and Small Batch Almond Granola instead of brown sugar. Give your dough some space, you can see in the pictures above they will spread a good amount. 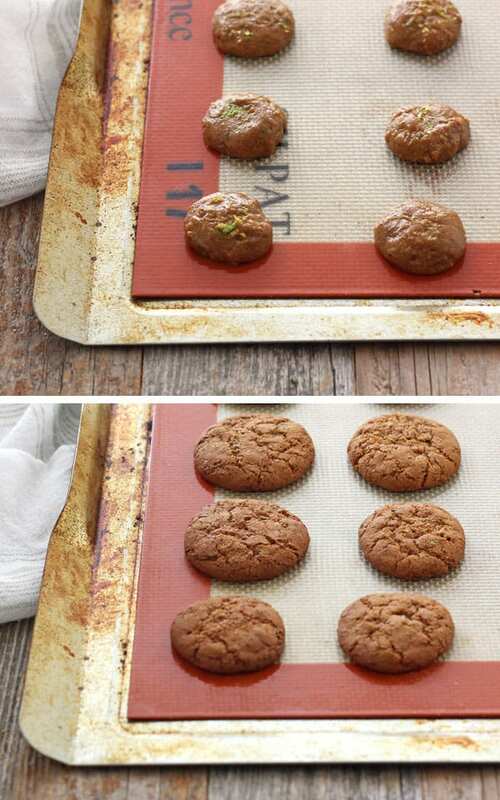 Use a silicone baking mat or grease your cookie sheet and let the cookies cool completely before removing them. Sprinkle any extra grated citrus peel on top of the cookies before baking for added flavor. The dough is super sticky so it’s easiest to use the “two-spoon” method for scooping. Scoop the dough onto one spoon and then use the other spoon to push it onto the cookie sheet. And if your heart was set on Peanut Butter Cup Cookies (runner-up with 37%) we’ve got a toaster oven cookie recipe for those too now! As always, if you’ve got a special small-batch cookie request leave it in the comments or shoot us an email. We love hearing from you! 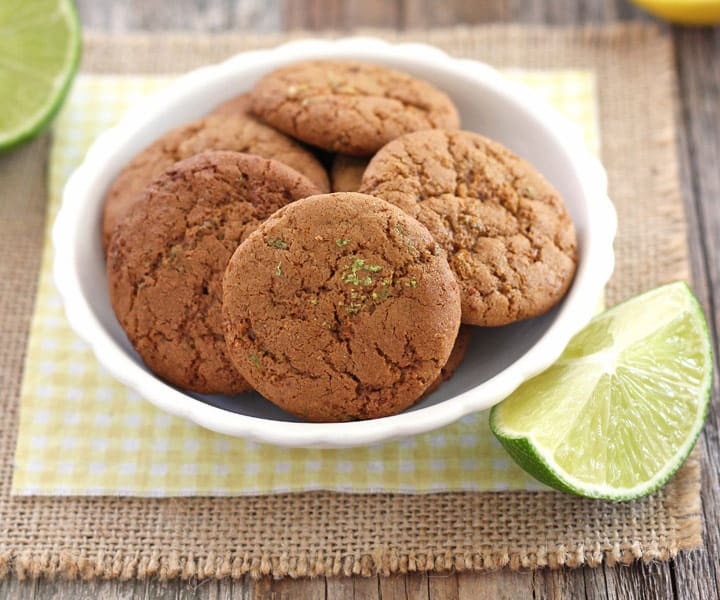 A small batch of bite-size cookies full of bright citrus flavor. Preheat your toaster oven to 350 F and lightly oil your cookie sheet or line it with a silicone baking mat. In a small bowl whisk together the egg yolk and oil until combined. Add the vanilla and coconut sugar whisking well. Using a spoon stir in the flour, salt, baking soda, grated lemon and lime peels. The dough may seem dry at first just keep stirring until a sticky dough forms. Drop the dough by rounded 1/2 teaspoons at least 1-inch apart onto the prepared baking sheet (the cookies will spread while baking). Bake cookies for 8 to 11 minutes until the tops are set and they are lightly golden browned around the edges. Allow cookies to cool completely on the baking sheet before enjoying. Store leftover cookies in a well-sealed container for up to 3 days or freeze for up to two months. I would like to make these but do not have a toaster oven. So can I do this in a regular oven? if so what temp. and time? Hi, Dennis! Honestly, I don’t know. We’ve only tested this recipe in our toaster oven but if I was going to try and bake them in a big oven, I’d probably use the same temperature and start checking early for doneness. Best of luck! This looks really simple and yummy! I am same with you too, I like to feed my boyfriend strange organic health-food things that he might otherwise scorn. Hahaha. I won’t tell him first until he eats it! Haha 🙂 Gem I totally love your healthy sneaky ways! Isn’t it the best when they discover how much they actually enjoy something they “thought” was gross?